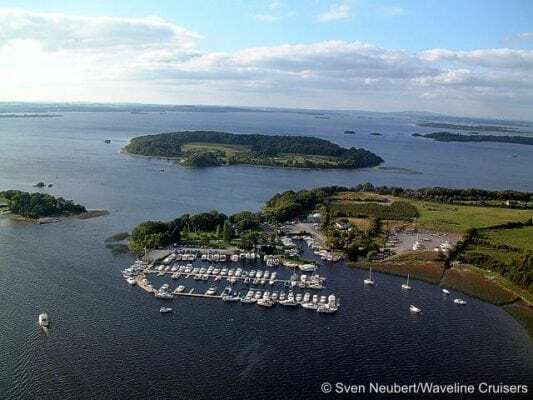 Killinure Point is situated at the south-eastern end of Lough Ree in County Westmeath, Ireland, on the River Shannon surrounded on three sides by water. It is in the townland of Glassan (or Glasson) and is the south-western peninsula of the larger area of Killinure. The marina is located at Killinure Point, Glasson. It is a private marina with 100 berths on the river Shannon. It is also possible to rent boats at the marina and the following facilities are available: pump out, showers, laundry, recycling receptacles, visitors, jetty, public phone, reception area.